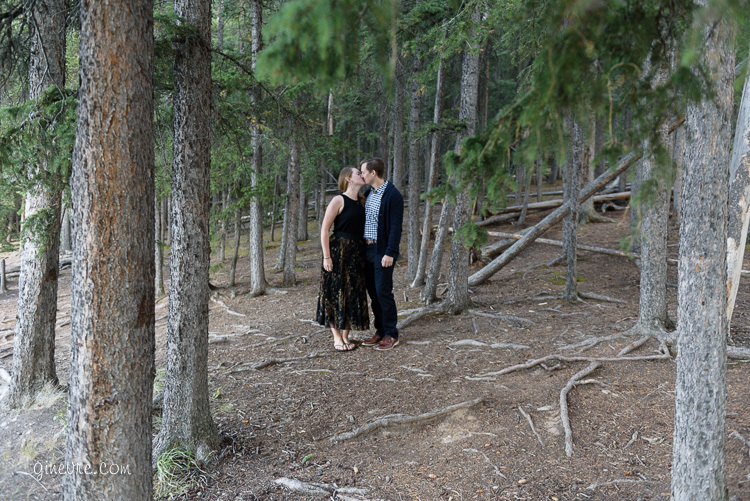 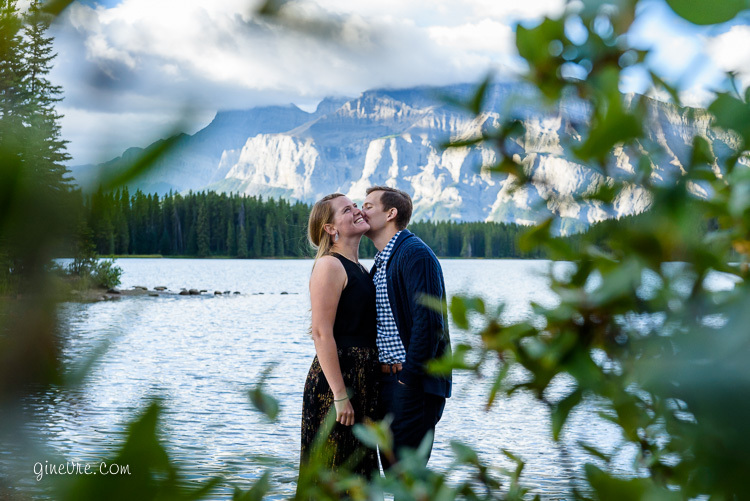 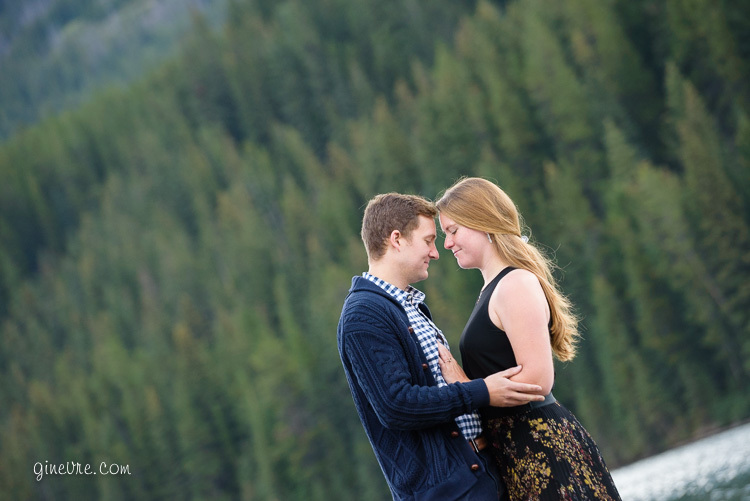 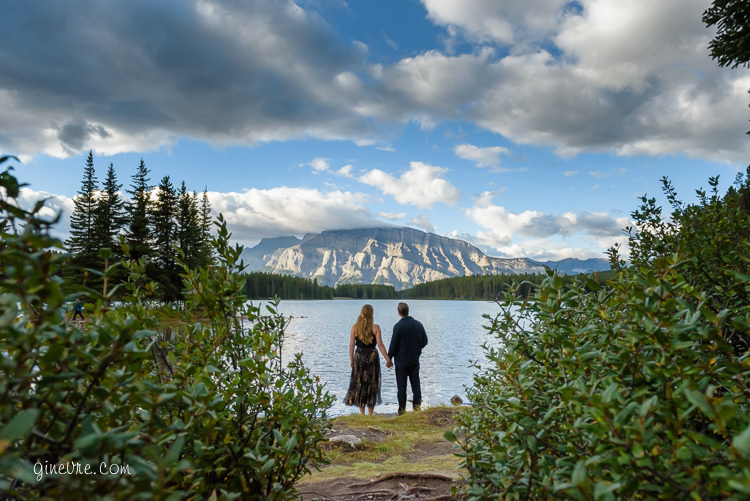 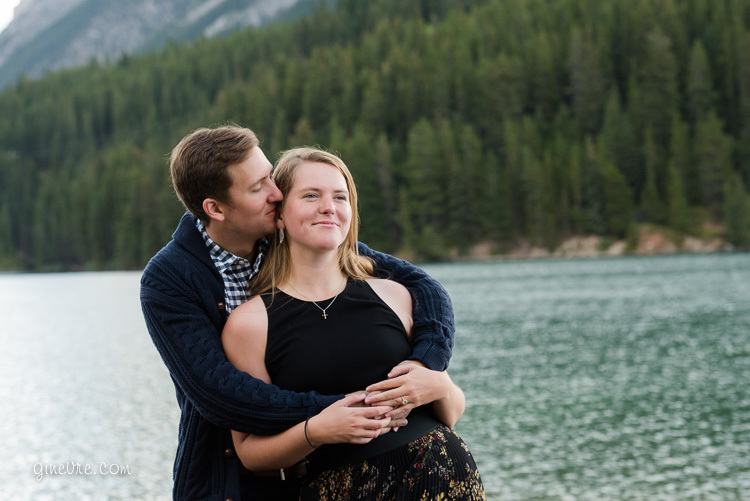 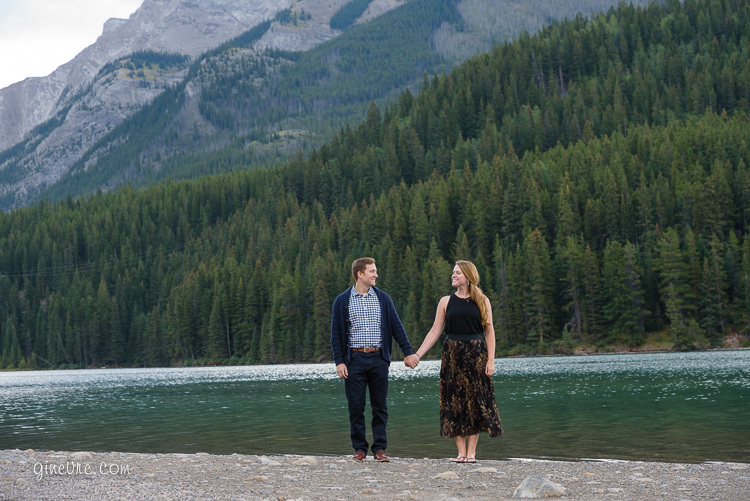 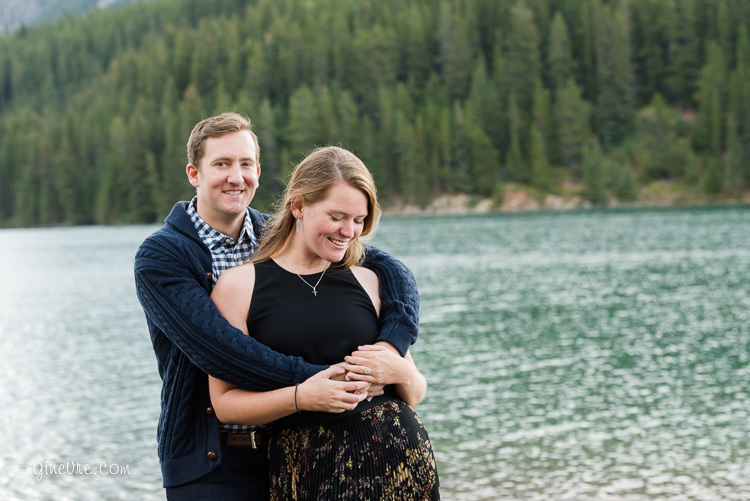 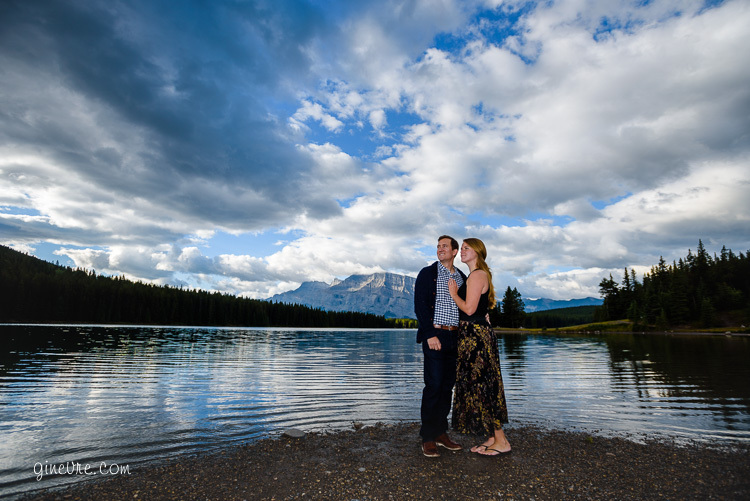 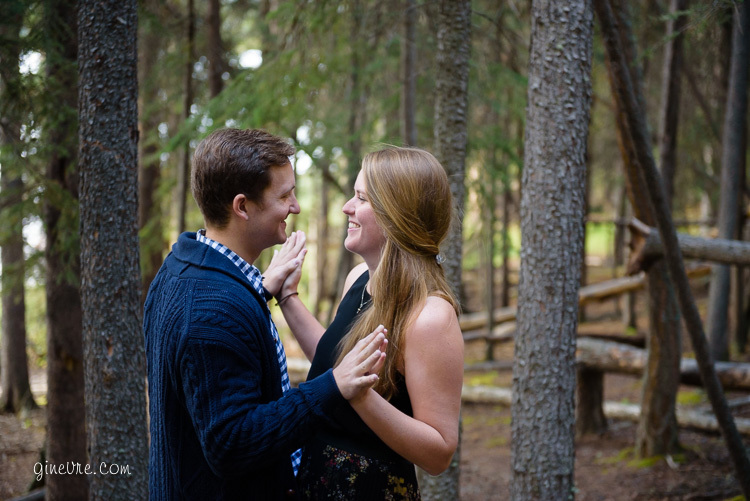 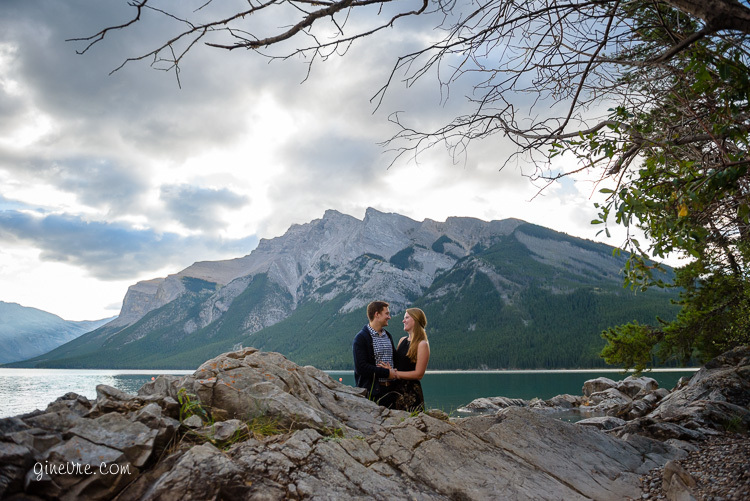 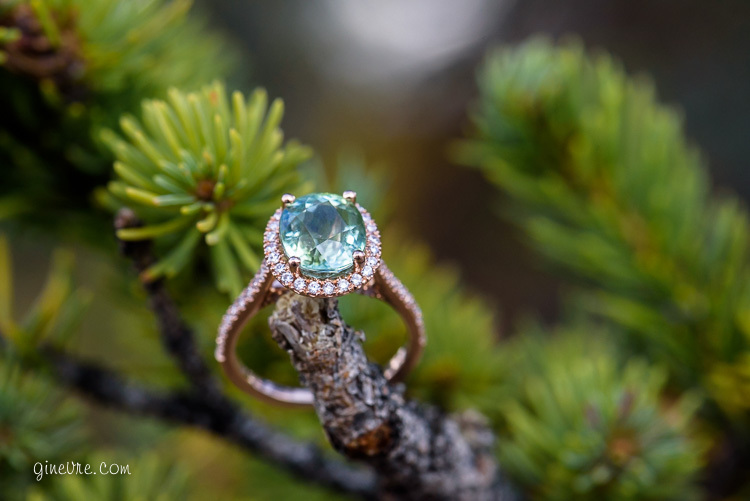 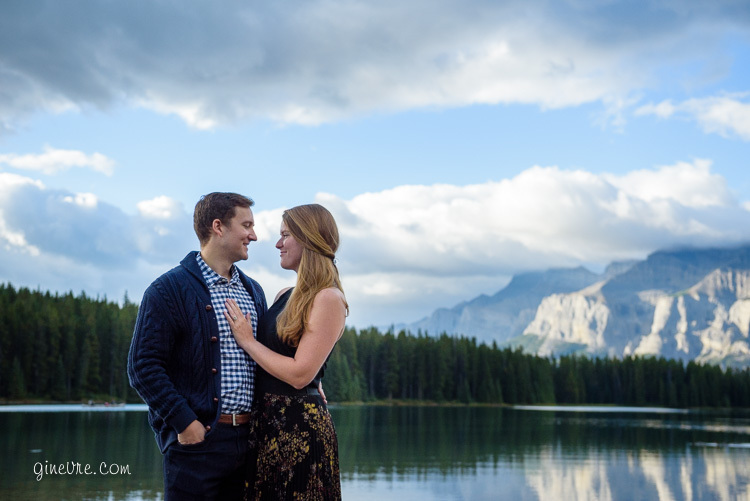 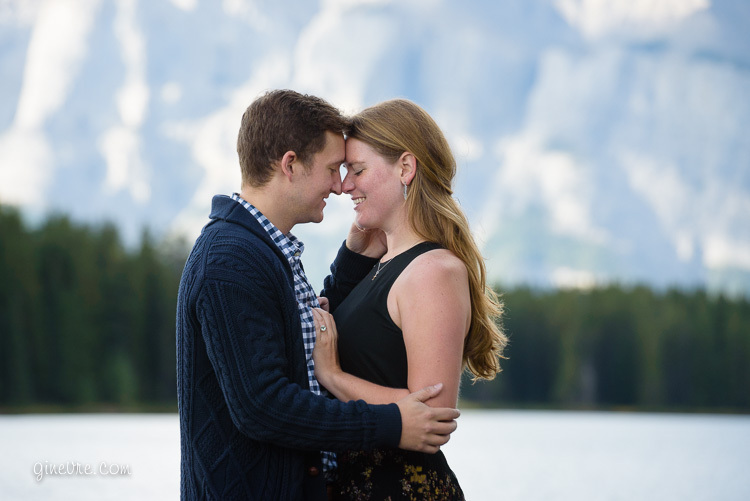 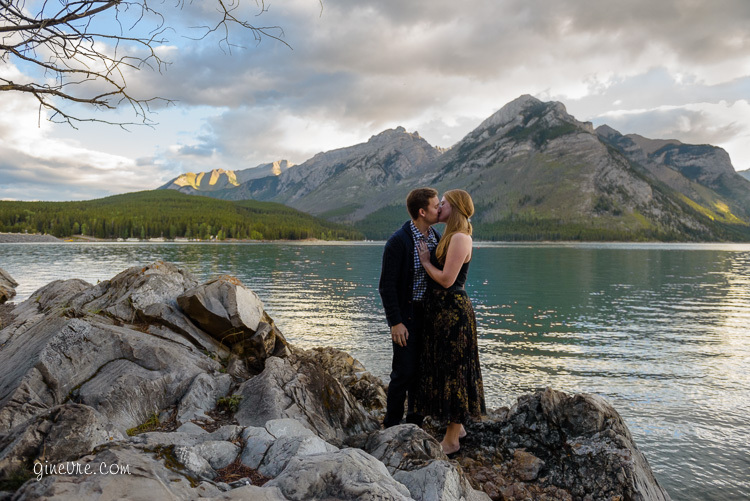 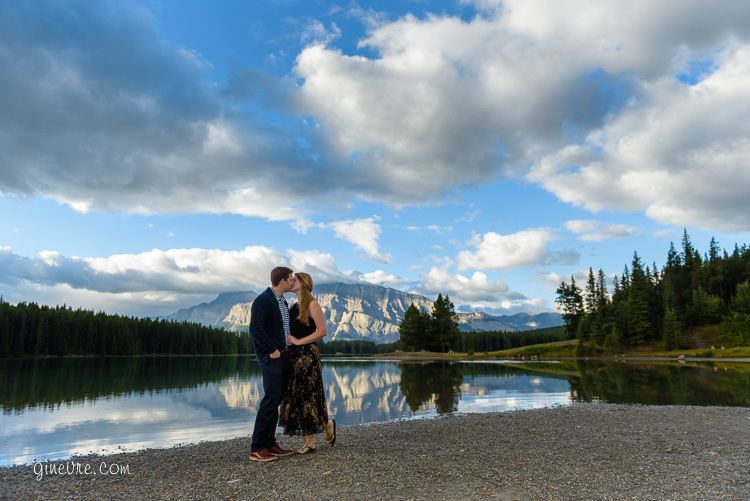 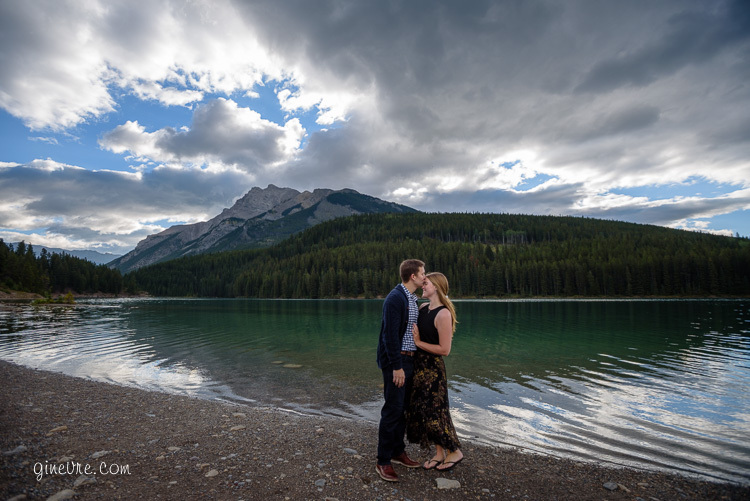 Mark proposed to Sarah at sunrise after hiking to the top of a mountain near Moraine Lake, and they celebrated with some engagement photos in Banff. 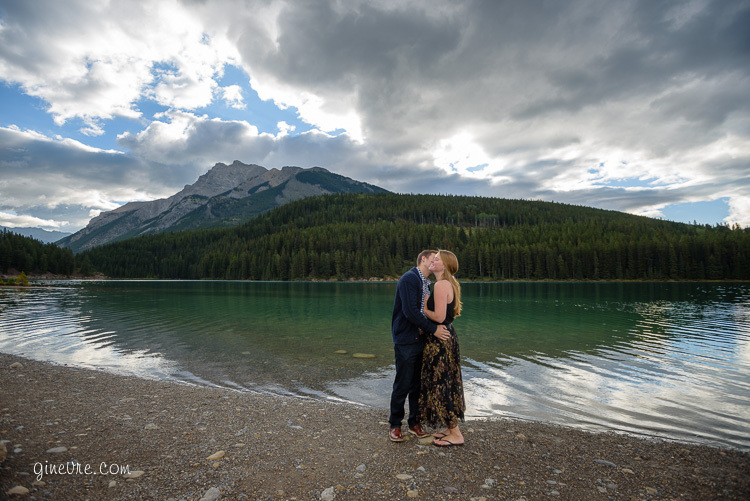 We did early morning on a weekday to beat the crowds and were rewarded with beautiful lighting and the lakes almost to ourselves. 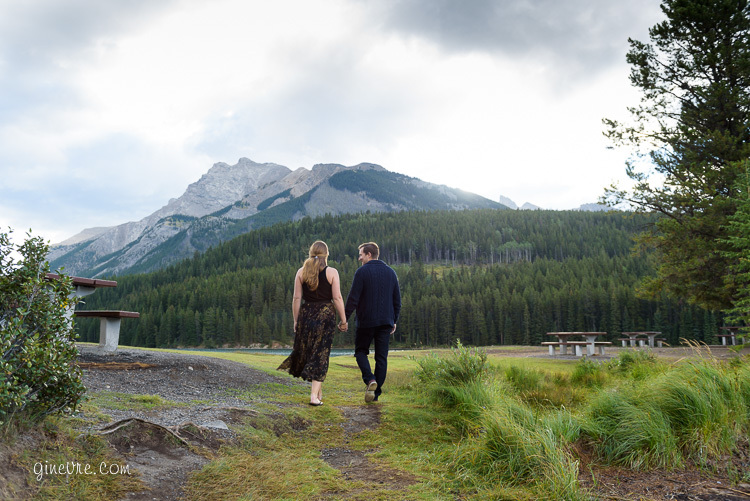 It was nice to have the peace and quiet of old times in the mountains, which have become increasingly crowded in recent years. 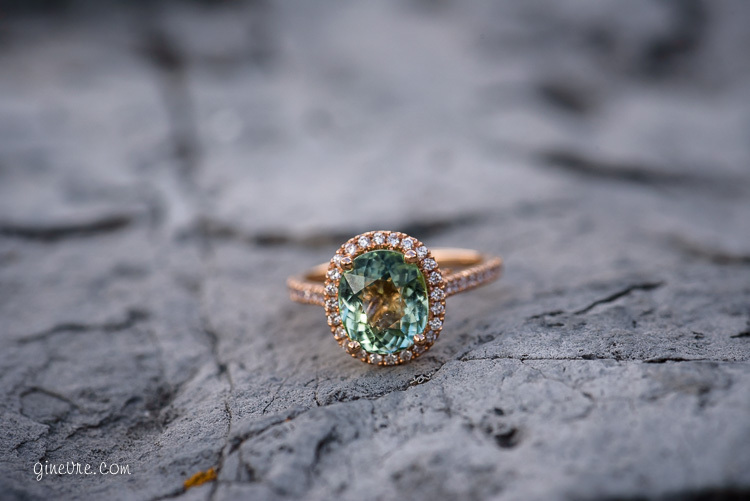 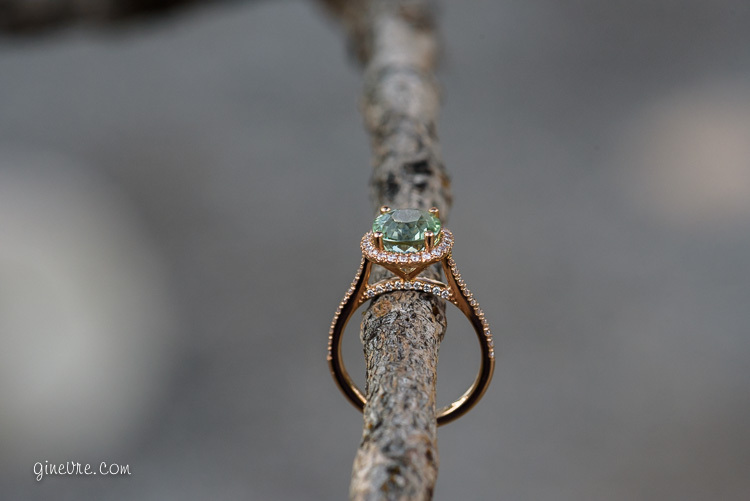 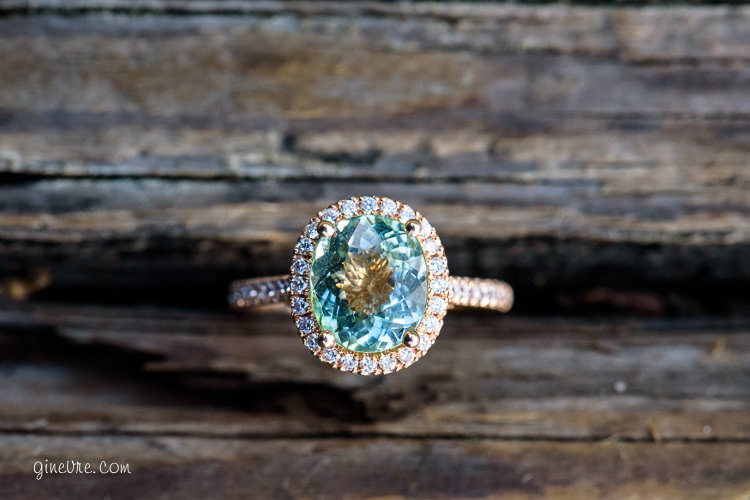 I was blown away when I saw Sarahs’ ring, it’s very unique and incredibly beautiful – make sure to scroll to the end to see it! 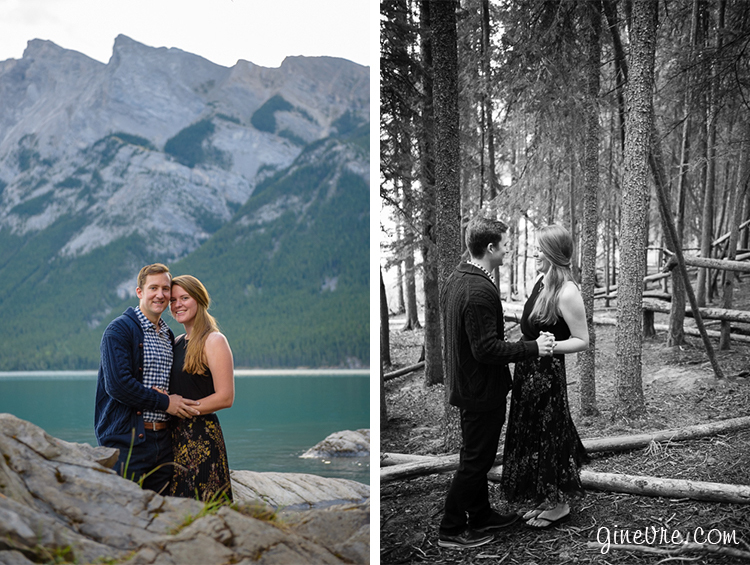 Congratulations to this lovely couple, I hope you enjoy your photos for years to come.